While idly googling, I ran across this. The European Film Academy held its European Film Awards in Berlin today. Orlando won Best European Actor in the Jameson's People's Choice Awards category. Henry Hübchen GO FOR ZUCKER! Finally, a little bit of well-deserved recognition for Kingdom of Heaven. Go Orlando! I believe! Wuuuhuuuu :cheer: this are great news!!!!! Orlando deserves the recognition!!! Thank you very much for the info!!!! thank you!!!! Mamma Mia! There she goes again about Orlando and ABBA! and ! This is FANTASTIC. 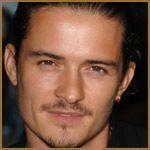 I am SO happy Orlando is finally getting some recognition for his wonderful portrayal of Balian. And he was up against Christian Bale? That says a lot. Thank you for the wonderful news, Jane. Let Hollywood take notice! Wonderful news! Congratulations to him. Maybe he attended and we'll get some new pictures. On Uk ITV 3 tomorrow at 8 pm there is coverage of the European Film Awards. So pleased Orlando won this award, well done Orlando!! I hope somebody captures the show tomorrow night, if our boy was there. I would pay good money to see that. This is the Jameson Whiskey thing we voted for yonks back? Wow! That's fantastic news. Happy dances all round. Great sleuthing Jane! Must go now and set the recorder for ITV3. Outstanding news! Congratulations to Orlando. Whoop! I'm so happy for him. Congratulations. 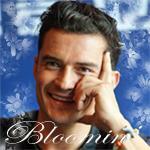 I'm so happy for Orlando Bloom! He is finally reaping the rewards for the excellent work he has done! May this be just the beginning of a long run of TOP awards! Thanks for the great news, Jane! It's nice to see Orlando get some recognition, finally. Maybe this is just a hint of things to come in the future. I would love it to be so. Thanks Jane for the super sleuthing. :cheer: I am so proud of him I could burst! I just KNEW he deserved recognition for how he played Balian. Just for that I'm having some Jameson's tonight to celebrate! This just makes the season even more cheery. Thanks for posting this, Rebecca! In a festive mood tonight! Thanks Rebecca for such great investigative reporting. Right on! Yeah, Orlando really should have some serious acknowledgement like this for his performance in KOH, so I'm really glad to see it happening! This is so wonderful to hear. His performance in KOH is totally deserving of recognition. I'm just sitting here feeling happy and warm all over for him. Go Orlando! Thank you Jane for this fantastic news. Thanks for the great news Rebecca! I can't think of anyone who deserves it more than Orlando. KOH was an amazing film and Orlando was so awesome in it. Congratulations, Orlando. :cheer: He deserves the recognition, he was fantastic as Balian. Thanks to Rebecca for letting us know, amd JuliaA for the heads-up about the tv transmission - and good work to all those who voted for Orlando. 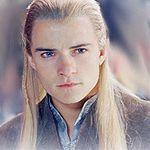 I am so happy that Orlando's acting has finally been rewarded. It's about time. I hope there are many more awards to come. Thanks for posting this. *anxiously waiting to see if Orlando attends* I know I can always count on my fellow kabloomies to keep us posted. Thank you so much rebecca for finding this!! I'm so happy for Orlando! He worked so hard at this role. He deserves the hardware! This is completely wonderful for our boy! I am thrilled to pieces. I really thought his acting roll might be passed over. It was a quiet, emotional part - so much done with the tone of his voice and the look on his face. I am so please that there are people out there that see it as the outstanding job it was. This is the Jameson Whiskey thing we voted for yonks back? You betcha, MM. Yea Orlando! He won one of the three People's Choice Awards. Unfortunately, the other two nominees that I was backing weren't as successful. I never quite knew when the voting was stopped - I had it bookmarked and voted every day. 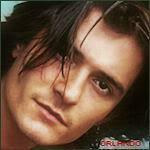 Orlando may not be in acting for the awards but it is very nice that his performance was recognized. 'Bout time, says I.
Yay for Orlando! Great news. Thanks for letting us know.